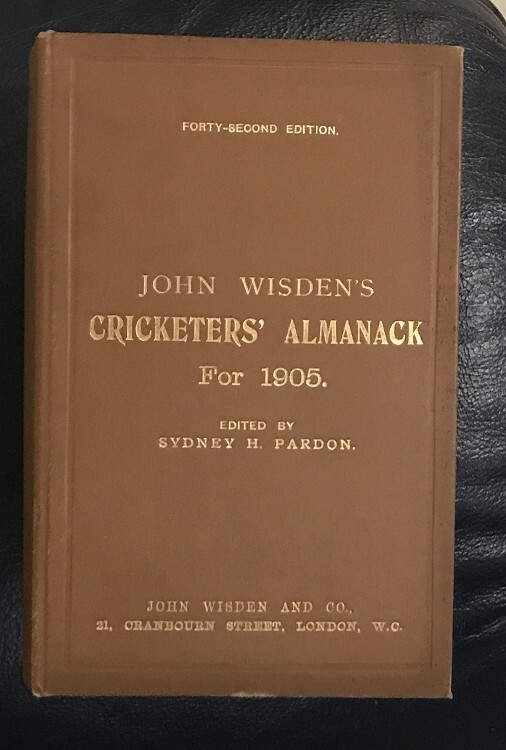 This lot is a 1905 Original Hardback Wisden in Very Good Condition. This is a hard year to find and in this condition you do not see many at all. The boards are very nice, and the gilt is bright to front and spine, there has been no restoration to the book or the lettering. There has been a bookmark to the first page which has come off and left a bit of a residue mark ofther than that it is hard to fault, the very edge of the front board is a bit dark but super tight hinges and clean pages with an Excellent Photoplate. Rare to find in this condition.